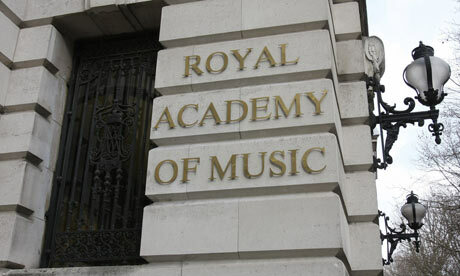 The Royal Academy of Music (near Baker Street Station, easily accessible for most Londoners) is notably welcoming to the public. Their events are mostly open entry-free (or inexpensive). Refreshments can be taken in the students' restaurant, and the packed progamme is listed on an excellent website. Afterwards, in the Sir Jack Lyons Theatre, an enlivening presentation of the Broadway musical Sweet Charity by the Academy Musical Theatre Company and Orchestra, given with complete professionalism and imaginative staging by a company headed by a future star Jennifer Kristian (reviews of that Department are discouraged). Friday: a ground-breaking clavichord recital and master class. Explore the RAM programme - and those of the other Music Colleges - and enjoy.